Why are Table Games Better than Pokies? There will always be punters who prefer playing slots, but table games are ultimately better than pokies for players seeking more decision-making and involvement in their favourite games. Skill-based card games are more interactive, give you better odds of winning (if you’re any good at them) and are as a whole more engaging to play for certain types of players who want more input in their decision-making. The team at Blackjack.com.au has compiled a run-down on what makes table games better for players who are looking for games based on skill rather than luck or randomness, and how you can get the most enjoyment out of them or decide which type of land-based or online casino game is for you. Table games require input – Pokies are fun but hardly interactive, aside from hitting the spin button. Online video slots and 3D Internet pokies have livened things up with more sophisticated animations and engaging bonus games built in, but ultimately your skill has zero influence in determining the direction of the game. On the other hand, table games need you to make decisions for the game to even happen. 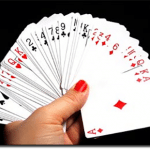 Blackjack is the type of game centered on you calling the shots. 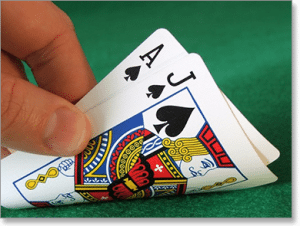 There are a number of choices you have to make when playing blackjack, such as whether you want to increase your bets if you’re happy with how your hand is looking, whether you want to risk a bust and make another hit, or whether you want to double down with a favourable hand. Your betting choices and strategies for the game dictate its direction and matter, and that means you’re in control of how much you win in that game. Pokies play is virtually the opposite of table games in that there are very few decisions you as a player can make, and almost every pokies round will be very similar. On the other hand every table game will be different every single time, and it’s you helping shape how the game turns out. Table games are skill-based and you can get better at them – All casino games require an element of luck, but in skill-based table games you can work with what you’re dealt with. Most table games have strategic plays you can implement to turn the odds in your favour. If you’re an experienced poker player, you’ll know what tactics to look out for and knowing whether you should increase your bets, check or fold will be second nature. Each casino table game has strategies that will increase your winning odds and like any other skill you can practice your strategies to refine and strengthen your playing skills. Pokies, on the other hand, are entirely luck-based. Aside from choosing how much to bet, as a player you have no control over how the odds will turn out. An experienced slots player has the same chance of hitting a win as a first-timer; there are no skills you can work on in order to increase your chance of a win. This undeniable suits many players who want to win on luck alone or don’t like the pressure of skill-based table games. However, working on your skill levels for table games not only increases your chances of winning, but it makes playing them more enjoyable as well. You can read our guidelines on how to increase your winning odds in blackjack here if you wish to improve your blackjack ability. Table games are better value for money than slots – This isn’t just in relation to your chances of winning. Table games are longer and involve more actual gameplay. You can get more enjoyment out of a table game than a quick spin on the pokies, where your bankroll can quickly wash away before the fun or winnings really begin. With table games, you know you’re buying a solid amount of playtime, especially with certain types of table games like blackjack. You can find numerous variants of 21 at our top recommended online casinos that are free or have a very low entry cost. 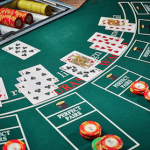 Table games are more entertaining than slots – This is obviously a subjective statement and depends on the preferences of the individual player. However table games like blackjack are undeniably more interactive and less repetitive. With the exception of a few licensed titles and 3D niche games, many video slots are are very similar to one another. There are a lot more variables in table games. 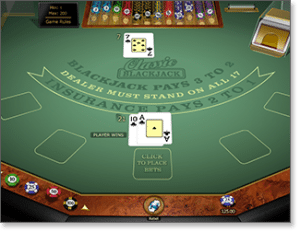 For example, there are many versions of blackjack such as single-deck, American blackjack, European blackjack, multi-hand 21 and even Live Dealer 21, where you can play blackjack with real players and a real dealer broadcasted over high-quality video feeds on your computer. Some punters find slots mind numbing and the repetition of the game cumbersome. The same cannot be said for table games.